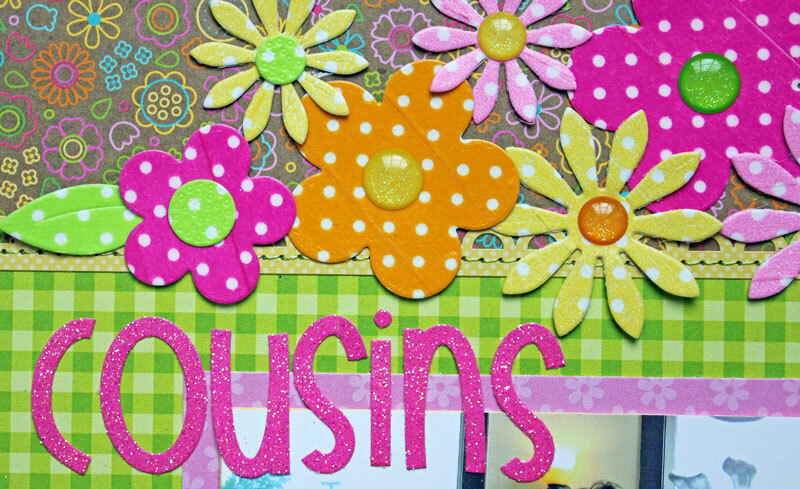 Love this layout Kathy <3 love your bright and cheery take on Melinda's -- both are just beautiful! That's so super gorgeous, Kathy!! Love all those flowers! This is awesome, Kathy! Love the flowers and bright colors. So clever use the washi tape in that way!! Beautiful LO!!! Gorgeous and full of blooms!!! Very great use of the Doodlebug products!! Love the way you used Melinda's layout as inspiration!!! LOVE the CHEERY colours & touch of SPARKLE!!! 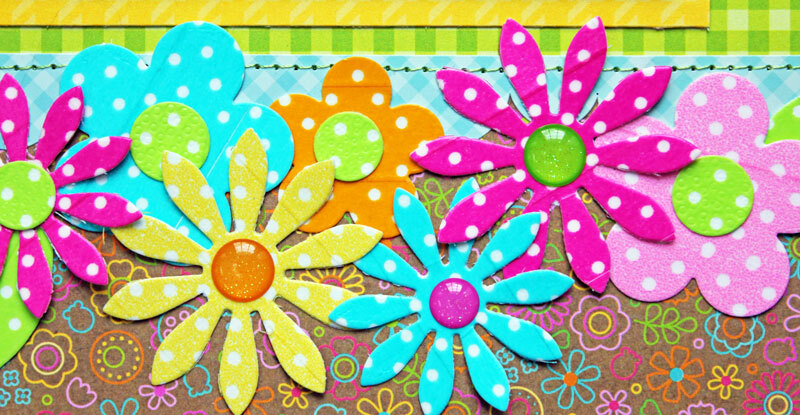 THANK YOU for the reminder to make some Washi Tape flowers too!! !